This butter is my new obsession. I wanted a savoury spread that was fatty like real butter, didn’t make everything taste like coconut (ok for some things, but not for everything), wasn’t a pain to make and had rich umami vibes. This is so it. It contains only three (powerful!) 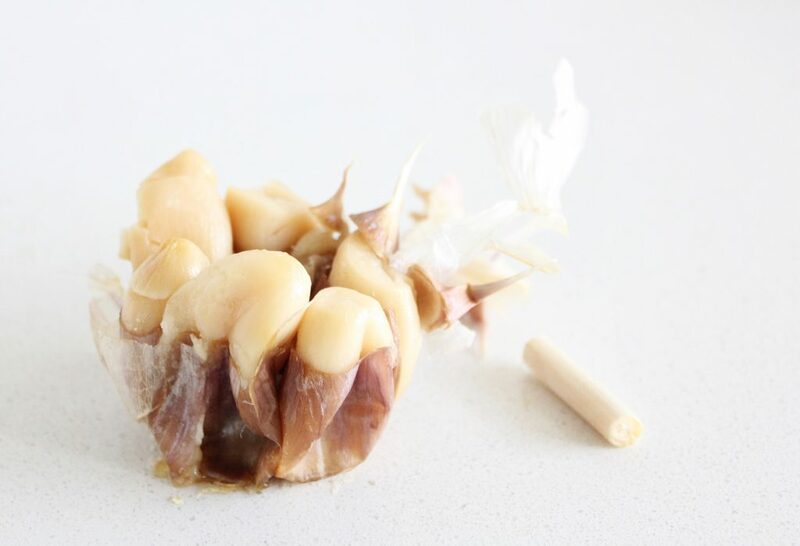 ingredients: roasted garlic (sweet, warming, anticarcinogenic, antibacterial, antifungal), extra virgin coconut oil (antifungal, antibacterial and antiviral, also contains lauric acid, which is great for the immune system and brain function) and chickpea miso (a fermented paste, big umami flavour, great for digestion, anticarcinogenic, reduces effect of radiation and pollution). Phew. 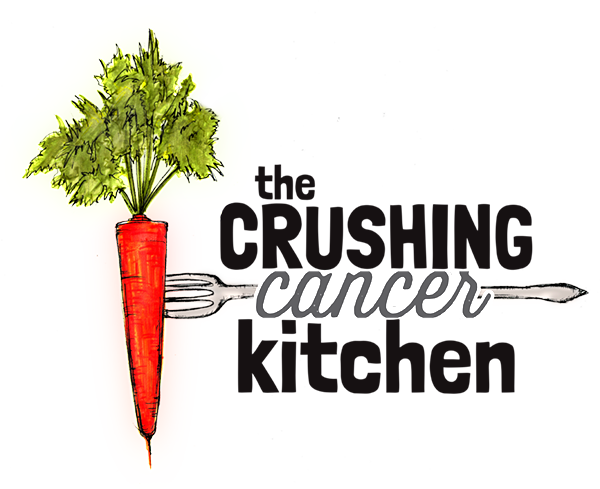 Even before we get to the fact that this stuff is really good for you, it’s important to point out that it tastes reeeeeeally good. I actually can’t believe that something so simple can elevate the taste/interest of so many foods so easily. It gives you buttery comfort with a funkier, almost cheesy edge. 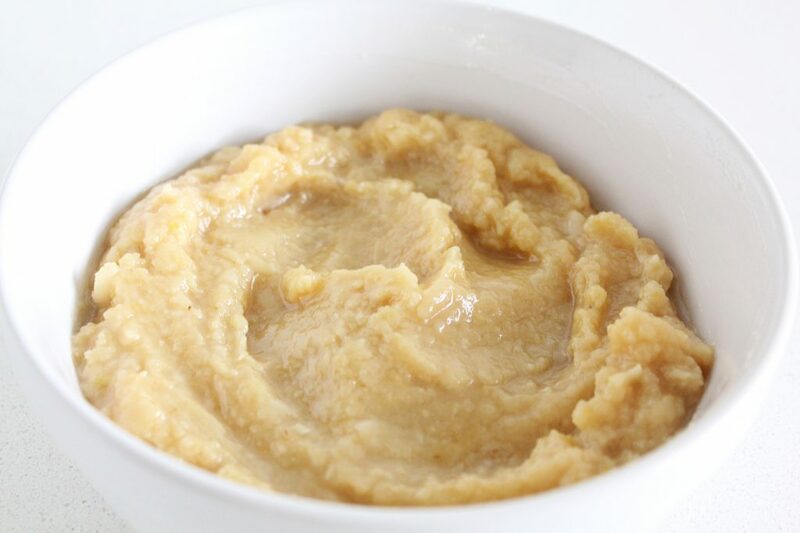 Because miso is fermented, it benefits you the most to add this butter raw or at the end of the cooking process in order to protect its beneficial bacteria. 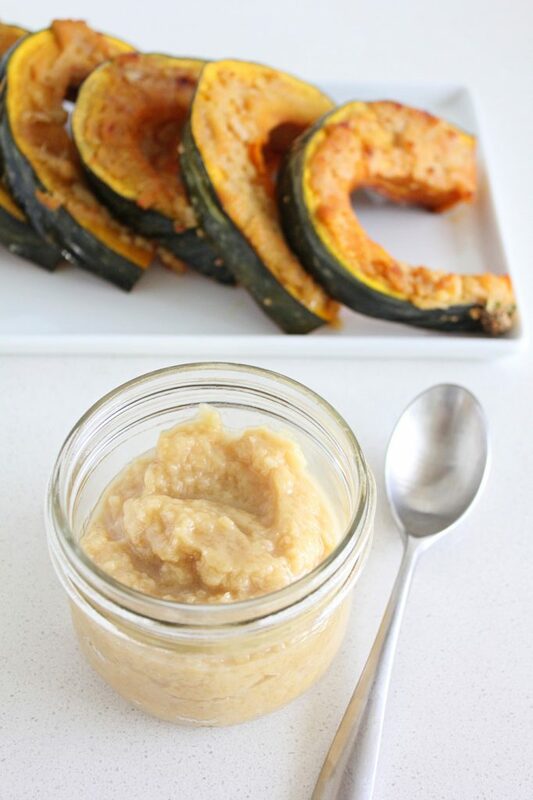 That being said, it wouldn’t be bad for you to add it pre-cooking (like we did in this squash recipe), you’ll just miss out on those good gut bugs. Another thing worth pointing out is that miso paste is salty. For this reason, you can cut back on/skip the salt if you are planning to finish a recipe with this butter. For weeks now, we have been tossing it with lots of different crucifers post-steaming (broccoli, kohlrabi, cabbage, bok choy), spreading it on our Sweet Potato Toast, stirring into soup, both purées and broths (at the very end, once in the bowl), adding it at the end to sautéed mushrooms, blending it into mashed root veggies, tossing with warm zucchini noodles, spaghetti squash, cooked lentils and quinoa etc etc etc, This butter is literally the easy answer to all of your ‘clean food’ boredom. If you thought you liked roasted squash before, wait until you have smeared on some roasted garlic miso butter. 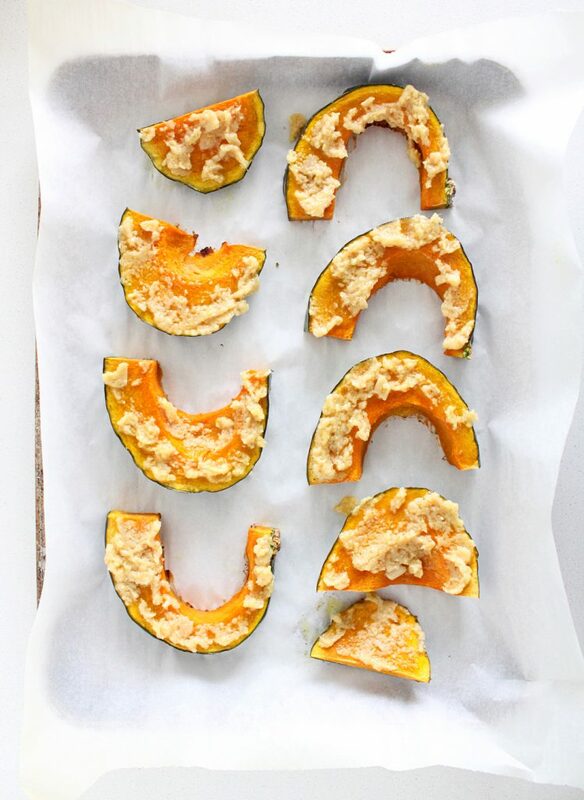 We did it with kabocha squash (pictured here) because we love its meaty texture, but it would be great with any winter squash, even (non-leftover jack-o-lantern) pumpkin. 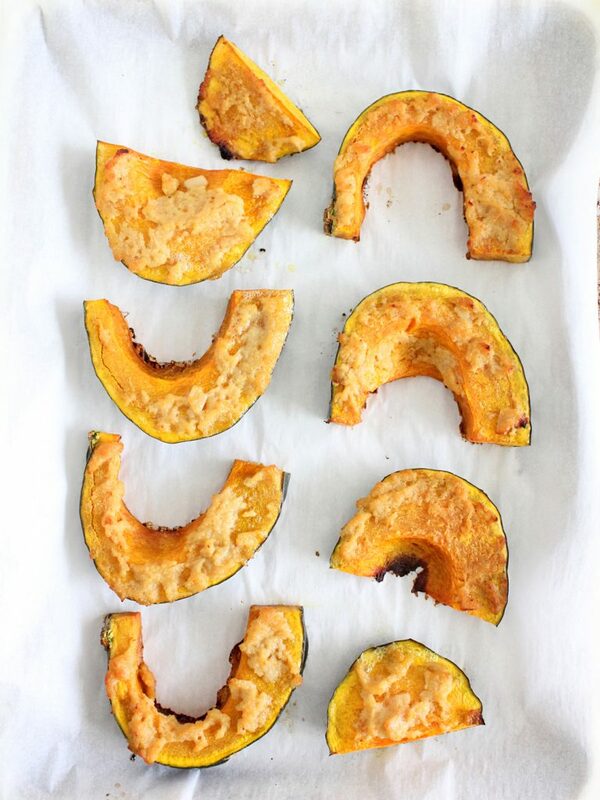 And don’t forget to leave the skin on your squash for an extra, very much edible nutrient boost. 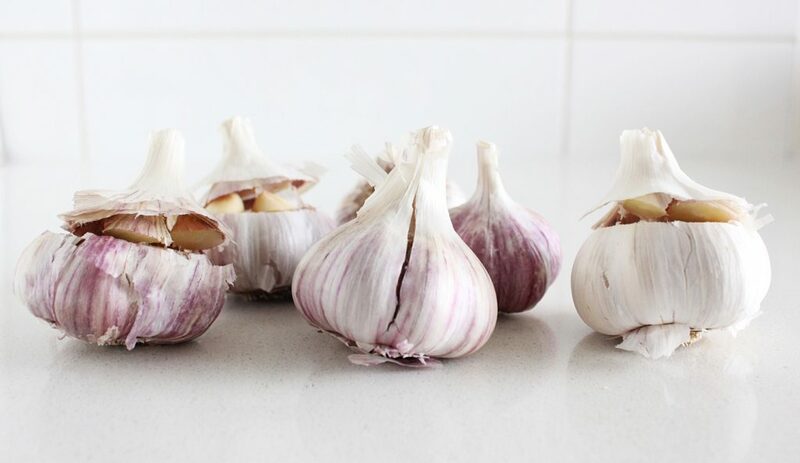 Due to my lazy kitchen persona these days, I just mix everything together with a fork, but if you prefer a smoother final product, use a blender or hand blender to mix it together to avoid roasted garlic lumps. Keep this in a covered jar, in your fridge for a couple of weeks, or transfer to the freezer where it will keep for several months. Cut the top ¼-1/3 of the top of the garlic heads off, smear with a bit of extra virgin coconut oil, and stick tops back on. Place garlic heads in a small ovenproof dish and put an ovenproof lid (or foil) on top. Roast in the oven for 45-55 minutes, or until the garlic heads squish when you squeeze them from the sides. Pull out of the oven and let cool enough to handle. 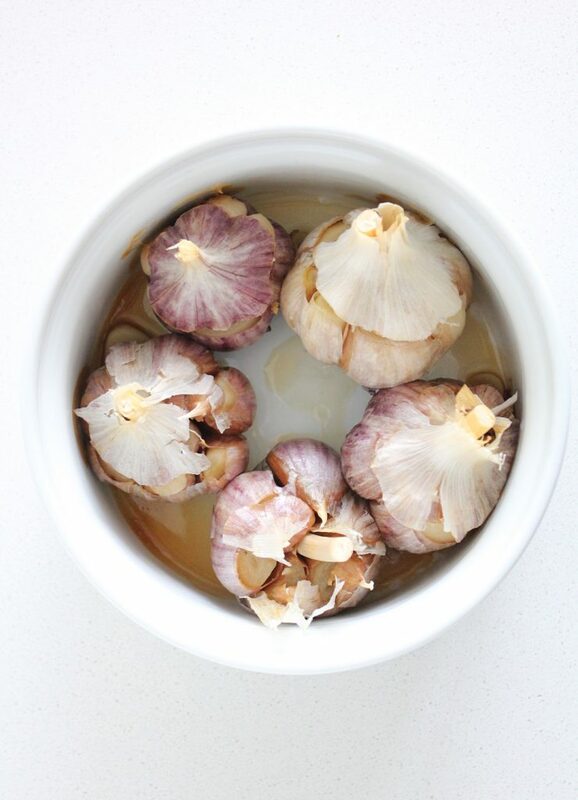 Squeeze the contents of the garlic heads (and tops) out into a bowl. Make sure you get it all! 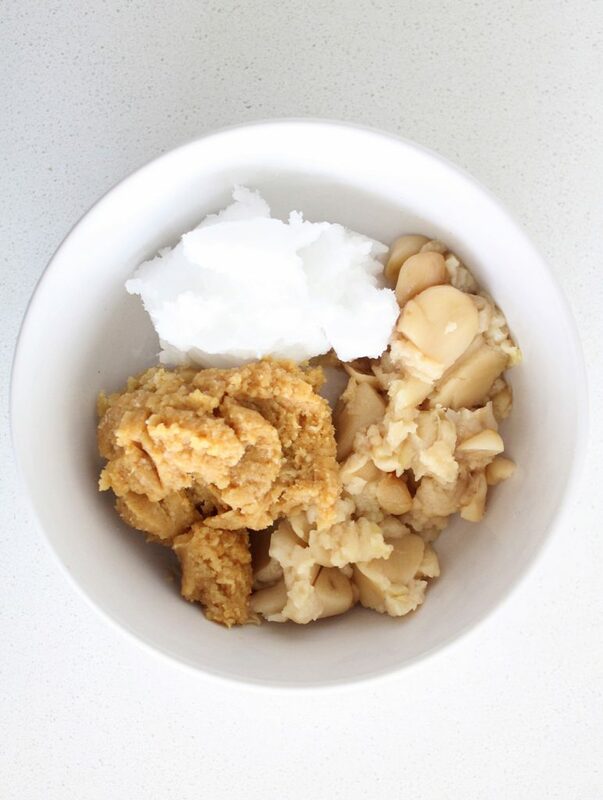 Add the miso and coconut oil (you may have to melt it first) and mix with a fork or whisk until well blended. (you can also use a hand blender to make it very smooth). 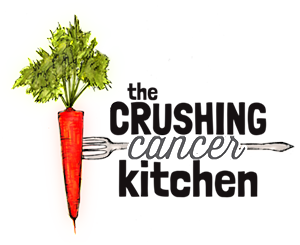 Add to mashed root veggies, toss with roasted broccoli or Brussels sprouts, toss with zucchini noodles or spread on sweet potato 'toast'. This keeps, covered, in the fridge for a couple of weeks and also freezes really well. 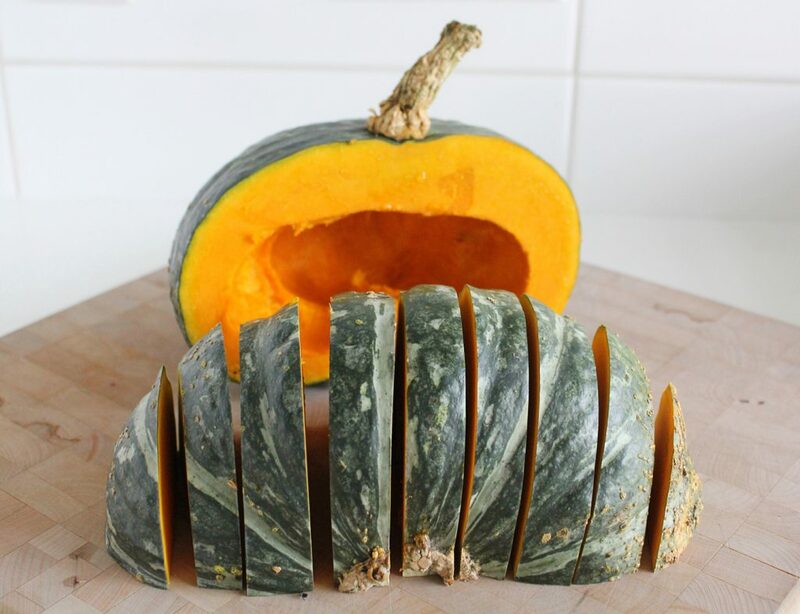 Wash the squash and (carefully) cut it in half. Remove the pulp and seeds (you can roast the seeds for some extra zinc, if you want). Cut the halves into 1-1.5 inch half circles. Lay out on a parchment-lined baking sheet and drizzle on a little bit of extra virgin coconut oil (just enough to make it a bit shiny). Pull out of the oven and brush/smear on the miso buttter. Serve as is or return to the oven for 5-10 minutes and serve. Thank you Francesca! It definitely would, yes. I think it would work with any winter squash. This must taste divine! 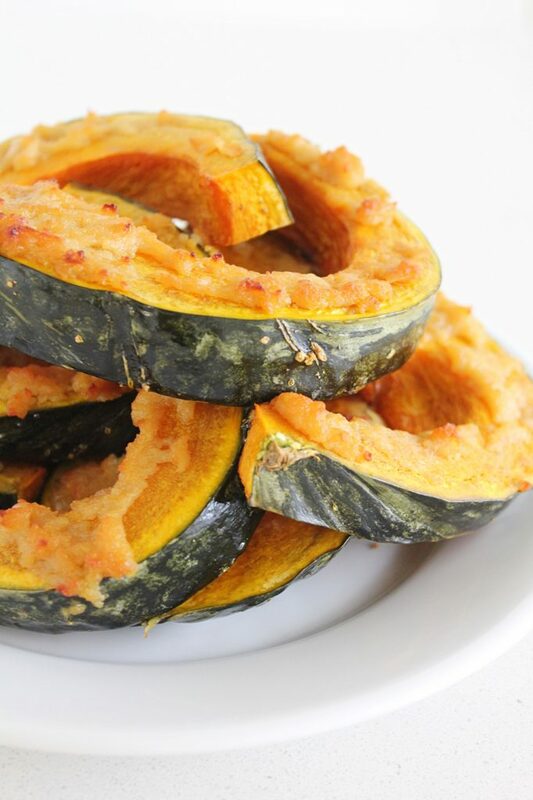 Do you think this recipe would work well with a Red Kuri squash, as well?